Our teacher was giving a lecture on Inhibitors in our Biochemistry class. To make the subject easier he was trying to illustrate the point, when a few stood up eagerly and tried to put up some examples. My friend occupying a seat next to me told me very promptly in an undertone “look there is an inhibitor at work. Otherwise why should my pen refill be empty right now”. He did not stand up and offer his apt elucidation but made things clear like water to his friend so easily. The teacher could watch him talking and summoning him to his desk asked him to repeat what he had so long been teaching. The poor student shook off his initial inhibition and rattled off everything so nicely that not only us even the teacher was also charmed by his concentration and power to grasp a new subject not to speak of his captivating English pronunciation and clarity of thought! He was Srinivasan, originally hailing from Kerala, a south Indian state, a medium built shy boy who was born and brought up in Kolkata. Unassuming in nature he would speak English and Bengali fluently and never foisted his choices or preferences on others always maintaining a low profile. He did not have many friends and unlike us he would not take part much in extracurricular activities and during the time we would be found loitering in canteens or play grounds he could be finally traced at College library if not in a corner of the field poring over a book or a class note. Although he was close to me I never tried to intrude into his personal life. So when he would remain absent for a day I could easily resist the temptation of pestering him for the real reasons. Again when he would come late or leave the classes a bit early I took it as quite natural for a human being. I knew his parents as he had already introduced them to me. Being a business man of the city having huge clients it was natural for his son to lend enough time to assist him in his business matters. On the days when I would accompany my friend after the classes he would swiftly return home pleading very politely his inability to give me further company as he was having preoccupations not specifying anyhow, though. Nor I had the inclination to give him any trouble with questions which, I thought, might have irritated him. .My friend although kept himself abreast of everything would never take part in any games. He would not be found as a spectator either but we never made any queries. His pleasing personality and tacit approach to avoid any tiff with us dissuaded us from disturbing him anyway as he was found to be immersed in his own way of activities, a bit different from ours. But he was nevertheless very popular and nobody seemed to have any grudge against him. I gradually came to be his closest friend as I shared some of his traits like being reticent type and somewhat disinclined to expose myself to too much of games or loitering. Like me he abstained from smoking much to the discomfort of my friends who had formed a smoking club even! He would at times share his family problems like the demise of his grandparents or an accident one of his aunts had met with in South India. I on my part would, however, like to engage in personal topics mostly. Even though I had assured him my services anytime he needed I cannot remember a single instance when he sought my assistance be it in matters relating to studies or personal issues. Although we found in him a very intelligent boy always quick to assimilate any subject but astonishingly he attained only middle level success in all the examinations. Maintaining mediocrity all through the course was perhaps his only target but then the teachers never overlooked his attentiveness and sharpness. He was seemingly not bothered about not having an edge over others but he was always looking for something we could not perhaps fathom. At times we would wonder with such good qualities why he failed to secure the top positions in the class But I never embarrassed him with any questions in this regard as he seemed to be not worried at all. But one thing I disliked and which I told him to his face was his name. Except his surname I can never recollect his first and middle names which are so big that only abbreviations could possibly come to his rescue! Computers did not enter our lives then and we often jokingly asked him how he would accommodate such a lengthy name in the system! So we were content with his last name and that has now caused a huge problem for me when I am now frantically trying to trace him through the social network sites. All my attempts at finding him out in the vast world having thus failed I have then looked to my friends during my college years. They are clueless but divulged a news about him which I could learn for the first time after almost four decades- While we became post graduates he turned out to be an MBA and a law graduate as well simultaneously! Delving into the past one gets a veritable treasure house of anecdotes, incidents bringing sweet memories and the rare scope of comparison with the present while learning salutary lessons for the future. I am glad to know that you have enjoyed reading the story based on a real life experience.Thank you very much. 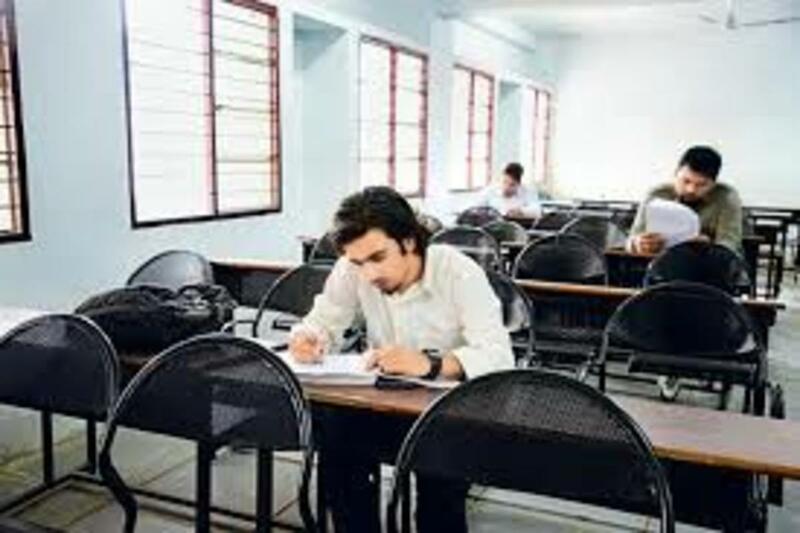 You are lucky enough to had such friend who had secured Post Graduate Degree, MBA and Law simultaneously by dint of his hard labour which presented in your writing in a nice way. Keep it up. jemuelO -Thank you very much for your comments which are encouraging. Wish you all the best. I enjoyed reading your hub! It's wonderfully written - simple, clear and concise. Thank you so much for sharing your story with us. I hope you will find your long lost friend. It's really hard to miss someone so close to you. Hope google can find him as soon as possible. Graham-I am glad that you have enjoyed reading the hub. I wrote another hub https://arunkanti.hubpages.com/hub/OH-THE-SWEET-OL... to look back to the good past in a conversational style of writing which you might like. Thank you very much for your positive comments and support, as always. God bless. Hi Arun. A lovely story of your days of yesteryear. Where is he now! I hope you find out. tobusiness-Your appreciative comments really give me the necessary impetus to write more.Thank you for being supportive, as always.Have a great weekend ahead. ARUN, I thoroughly enjoyed your story and style of writing. Your friend sounds like a fascinating character, it would be interesting to know what became of him, I wish you every success in your search. teaches12345- I am glad that you have enjoyed reading the hub. I wrote another hub https://hubpages.com/literature/OH-THE-SWEET-OLD-D... to look back to the rich past in a conversational style of writing which you might like. Thank you very much .God bless. I enjoyed your story about your college days and your lost friend. It is funny how those years come back to visit us now and then. We just hooked up with some old school friends of ours this year, it was good to hear how well they have advanced in life. College days are the best I certainly enjoyed mine. Your memories can always be treasured. Doris Dancy-.Thank you very much for your wonderful comments which have enriched my hub.I shall be happy to go through your many more hubs Wish you all the best. FlourishAnyway-Thank you very much for your comments which are stimulating. God bless. ARUN ~ This is quite an engaging story. I loved the way you kept us in some suspense as you wove your beautiful tale of friendship and loyalty. I certainly hope that you will be able to find your friend, and as technology becomes more and more advanced I'm sure your search will become easier. Your story also teaches a lesson: When we have close connections with people, its important to stay in touch as much as possible because the heart does not forget, and we continue to long for them. Thank you for such an important reminder. A very interesting tale, well told. I hope you are able to reconnect with your friend. sunil-I had sent you a short message and it just took 10 minutes for your positive comments along with necessary inputs to kick in. This only explains why you have attained success so easily! My conviction for your capability is all the more reinforced. Thank you my dear friend. I wish you all the best. I loved the way you presented your college life. You have beautifully recollected your memories and shared neatly. I hope and pray you get some news on your long lost friend. Now I understand how you framed a very positive opinion about the Keralites better known as Malayalees and jokingly called Mallus. Thank you for sharing a good experience here. All the best.